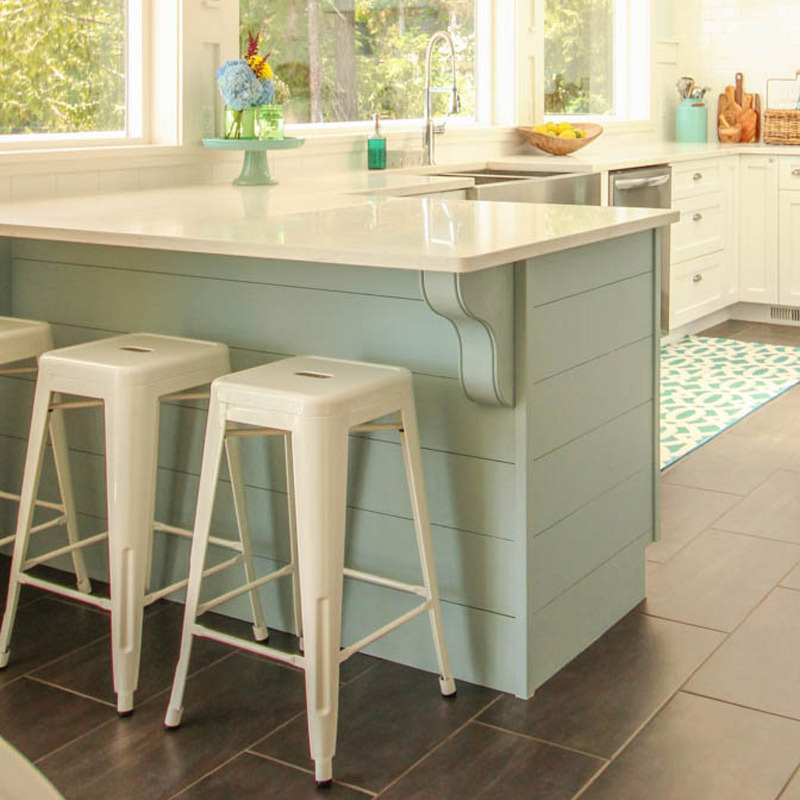 Recently ushered back into the spotlight by style influencers like HGTV’s Joanna Gaines, shiplap has found its way into countless homes—and hearts. Originally used in the walls of older homes before the popularization of drywall, this style of wooden planking has been transformed into a statement piece that can adorn walls, ceilings, and any part of the home that needs a little cottage charm. No longer relegated to farmhouse-style abodes, this versatile, easy-to-personalize feature can be incorporated into a wide variety of design styles. From pairing with varied hues to experimenting with size and installation techniques, let these six bits of inspiration help you add a twist to what has quickly become a classic. 1. 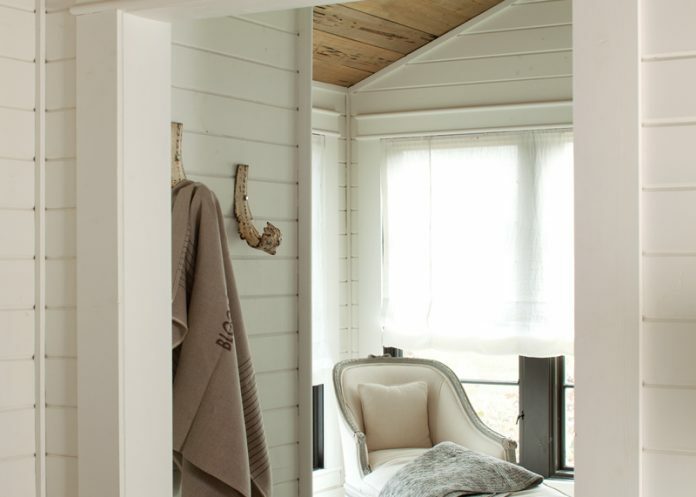 Often used to add rustic charm, shiplap can also provide a contemporary update to your home. Painted a glossy black and paired with black-and-white geometric tiles, these sleek boards speak to bold yet classic tastes. 2. A creative take on a basic design, skinny shiplap—or skinnylap—is a simple way to add an extra touch to your walls. Paired with simple farmhouse furnishings, this technique can fill any home with cottage charm. 3. 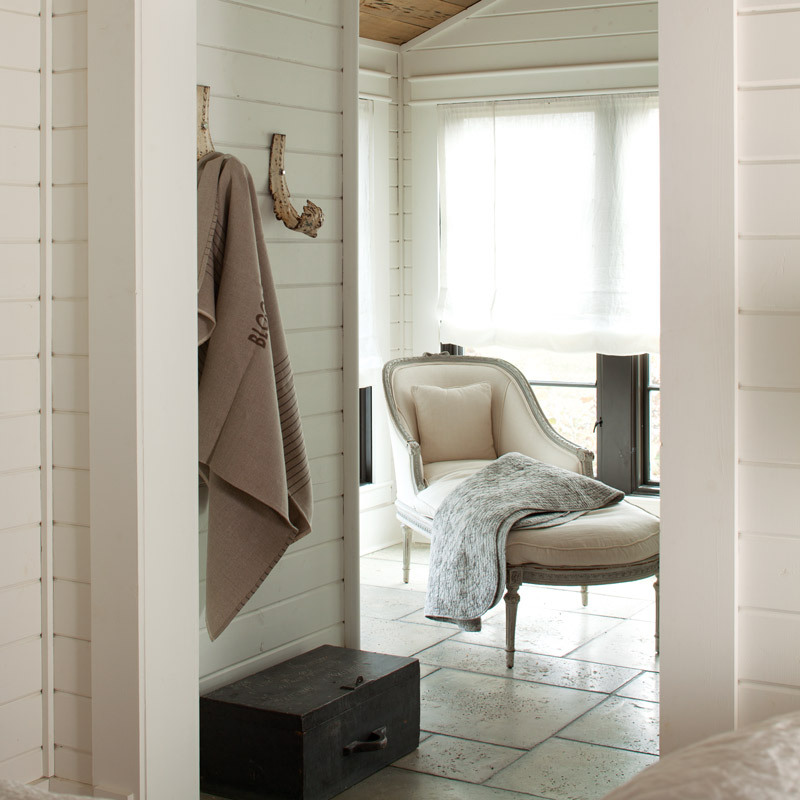 Not just for walls and ceilings, shiplap can be installed on a variety of flat surfaces. Painted a cheery shade like the robin’s egg blue seen here, it can create a statement piece in any space. 4. Statement walls don’t always require a bold coat of paint or an eye-catching wallpaper. Here, the homeowner installed wooden planks at an angle, creating a subtle contrast between this wall and those around it. 5. 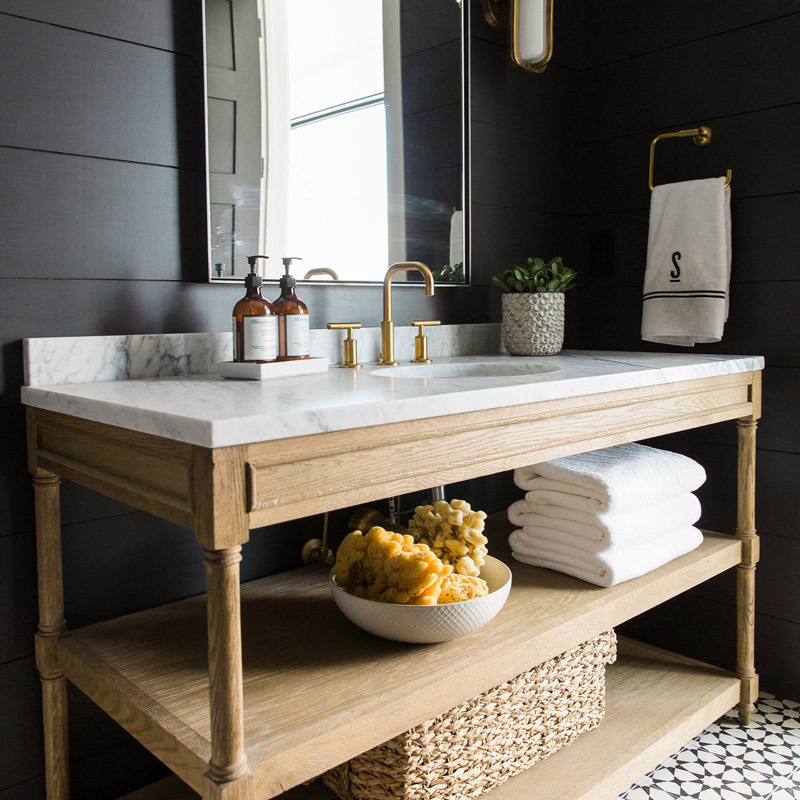 This homeowner added shiplap to nearly every wall and ceiling of her Tennessee farmhouse, but it’s most beautifully showcased in a mix-and-match style in her bathroom. 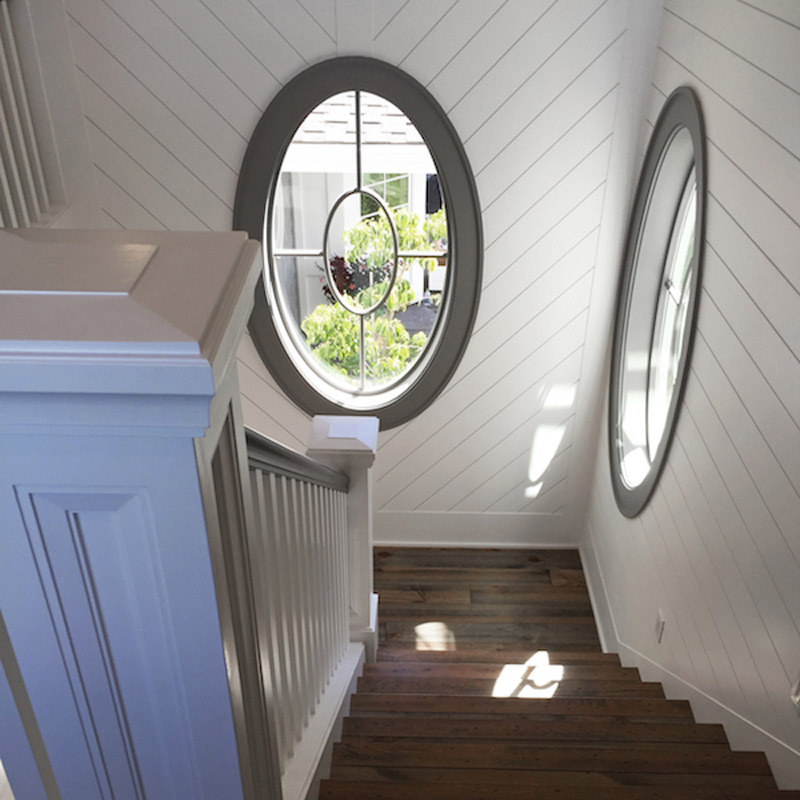 The walls play host to a painted white shiplap while the ceilings are covered in a more rustic, unpainted, and natural shiplap—a stunning contrast. Photography by Jenna Sue Design Co.
6. 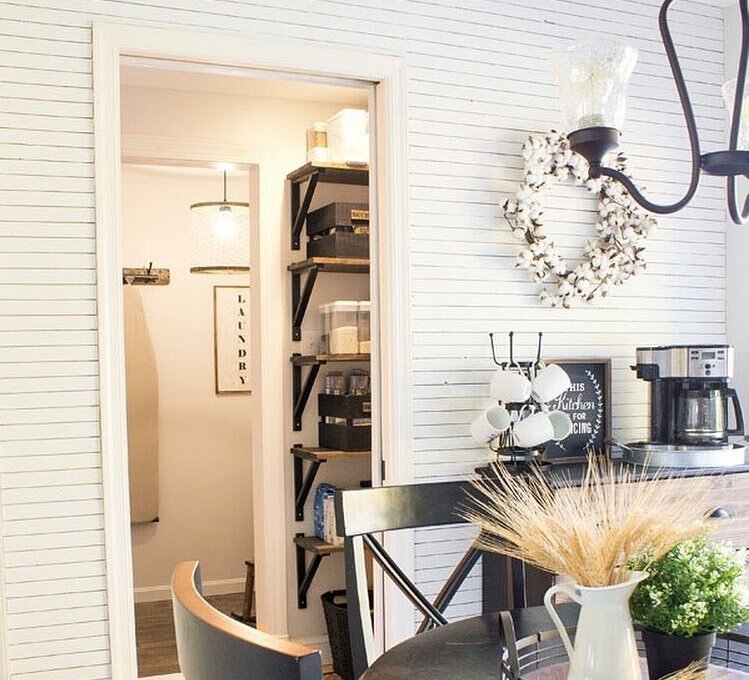 Because of its versatility, combining shiplap with your favorite design features is a great way to customize your space. In this cozy bedroom, the wooden planks create a noteworthy wainscoting and provide the perfect background for a comfy, cottage-style sanctuary. 7. 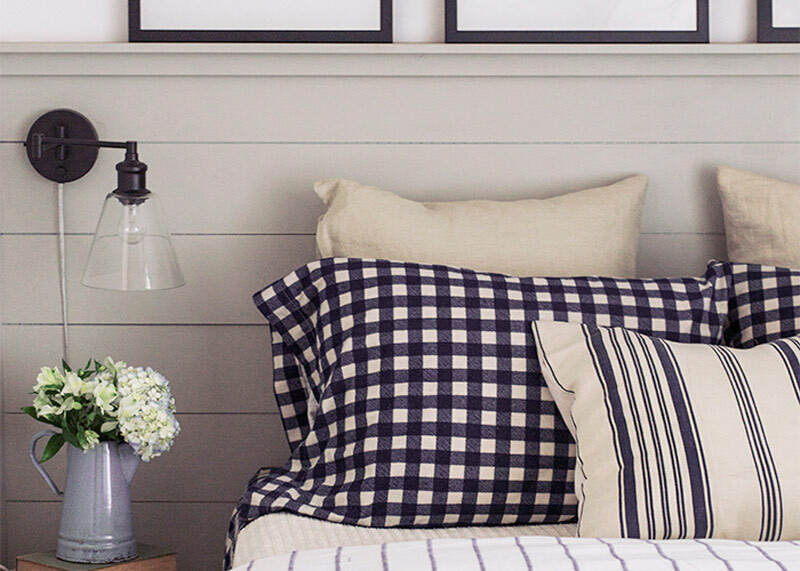 Despite lending itself to an endless array of paint shades, shiplap requires no assistance in helping your home stand out. 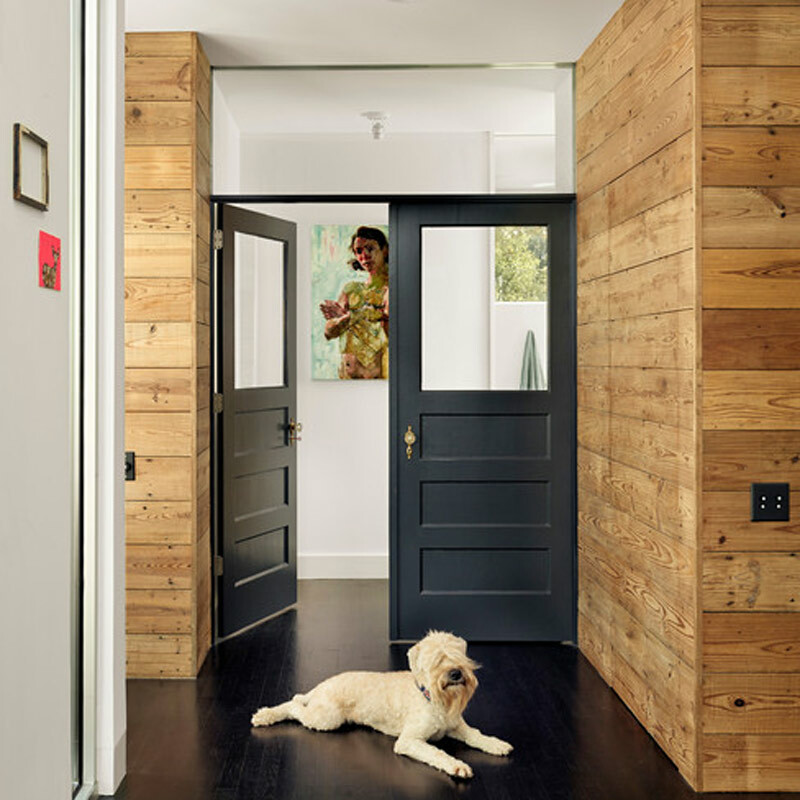 Leaving the boards bare can sometimes be the best way to let the wood’s natural details shine through and create a space packed with textural interest.